Do you have what it takes to be a special constable in Lincolnshire? Police are appealing for witnesses after a man was robbed in Northampton. Lincolnshire Police is currently accepting applications for the next special constable intake in June 2018. But you only have a few weeks left to submit your application - the closing date is Sunday, February 18. Successful applicants will then be invited for interview on Saturday, March 3. The date of a fitness test, medical appointment and uniform fittings are yet to be confirmed. • What is a special constable? 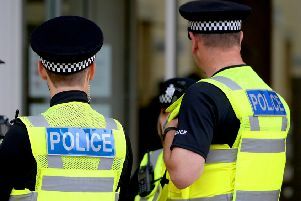 A Lincolnshire Police spokesman said: “As a special, you perform police duties under the supervision of regular officers and experienced specials. “You will have the same powers as a regular police officer, wear the same uniform and receive initial and continuous training. “Our specials commit to at least four hours a week which is flexible to fit around your other commitments. “Becoming a special is a great way for you to make a difference in your community. At the same time you can develop your personal skills and experiences. Click here to find out more, discover whether you are eligible, and get advice on how to apply. • Get your application in by Sunday, February 18, to be considered for this course.